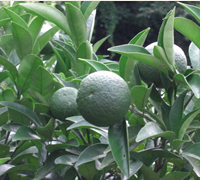 Daidai is a citrus, that came from the Himalaya district through China in an older time. It is grown world wide. 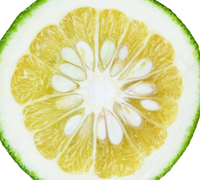 People are more familiar with the citrus being known as a sour orange in Europe. 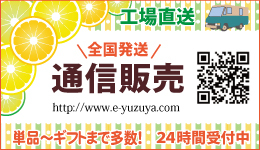 The ripe yellow fruit turns to green in spring again and it’s called 回青橙, Kaiseitou, which means the citrus that turns green. 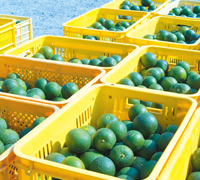 Daidai in Hagi is harvested from the middle of September to December. The trees bear fruits one after another, and they say such productiveness is the sign of succession and its a favorable lucky tree. Therefore, it is used as a New Year’s decoration wishing for prosperity and goes down from generation to generation. In Kitaura, Hagi, from olden times, they say it’s most luxurious to eat Sashimi raw fish with Daidai juice on it. And today, there are more and more people who use it on Sashimi or pot dishes called Nabe. 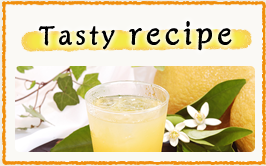 We drink Daidai juice with shochu in it or drink it regularly as a healthy beverage with honey in water or soda. 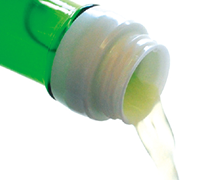 Since people found Daidai juice contains a lot of functional ingredients, it works well for health maintenance. Yuzuya Honten selects Daidai raised in Hagi very carefully and we press each citruses one by one neatly so as not to taste the bitterness, and mature some of the raw juice in a fixed temperature. “Daidai vinegar”producted by our own technique, has an established good reputation and is highly valued with its special mild taste and rich aroma. It doesn’t have the irritating odor of common vinegar. Additionally, it’s good for your health since it contains a lot of natural citric acid, and it has high nutritive value. Natural tastiness of Daidai is preserved through our manual work of hand pressing the fruit and it’s matured in a fixed temperature. What are the 3 notable functions? Strengthen the cancer prevention through the synergistic effect amount content of Vitamin C 35mg/100g. The potassium combines with extra salt content inside of the body and excrete it from the body. It controls various physiological functions and complement the calcium which is eliminated from body. It contains a large amount of Pectin/ potassium( 190mg/100g) and Calcium( 12mg/100g). When it’s absorbed, it goes through TCA cycle, that works with the meabolism. 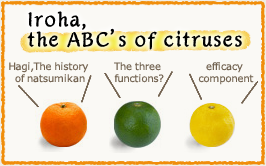 ★Effect of citric acid- It makes the metabolism cycle to be returned to normal and it removes the lactic acid. In the active acid function, except for the condensation of protein, there’s another function of the conbination of plain amino acid. Plain amino acid is the acid that goes through the brain. Any substance should go through the BBB(blood brain barrier)to go inside of the brain, it is necessary for amino acid to be condensed.So the active acid assists this function. 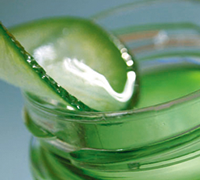 When a person tastes the sourness, the citric acid inside of the body reinforces the activity of active acid. When the nutrition goes through BBB(blood brain barrier) to go into the brain, and the citric acid inside of the body leans to under ph4.0, the citric acid affects the active acid and that reinforces the metabolism. Also, when the citric acid is absorbed into the body, inside of the biological cell, the citric acid turns into active acid. ★Effects of active acid ⇒Brain metabolism and brain circulation works very well and it increases the learning ability and memory. Also, there’s academic proof of it having a good effect for Alzheimer’s disease. The function of our food is very useful for lowering the risk of diseases or trouble from lifestyle-related illness. But, it’s very important to gain as much as possible from eating natural foods. Once the sense of taste is recognized by the brain it gives the necessary order for promoting internal circulation so we can maintain our health. Making good use of natural foods without additives is the best way for the human body to stay balanced and safe.